Daryl Johnson (Worcester Park, United Kingdom) on 7 October 2013 in Architecture. A very beautiful place in a good shot . I love it . 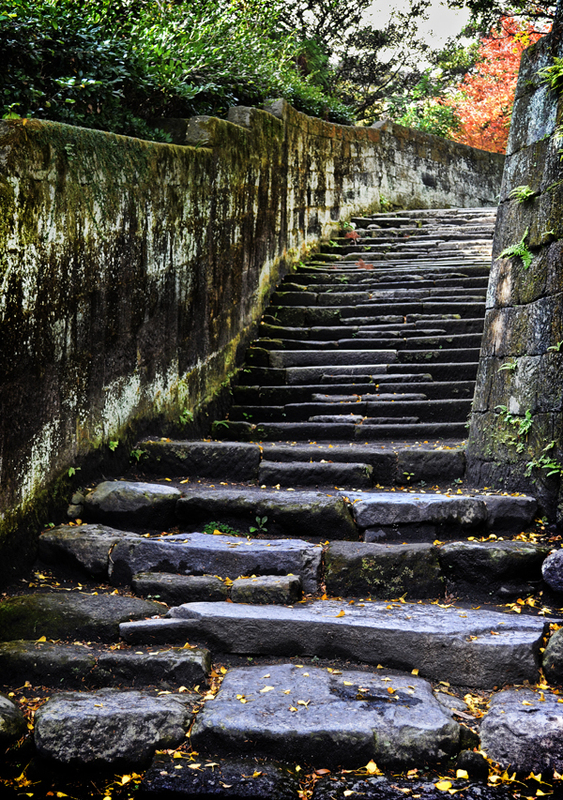 It's a beautiful capture of the wet stone steps and autumn leaves. I like the nice composition. What a beautiful perspective shot! A beautiful ancient stone stairway.